Chewing gum can be effective at delivering some vitamins to the body, according to scientists who suggest that the habit could be a strategy to help reduce the epidemic of vitamin deficiency around the world. 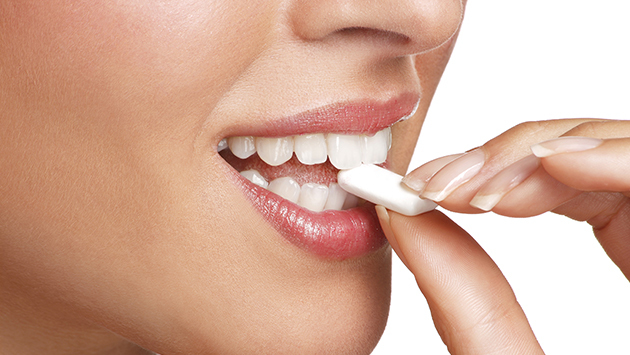 For the first time, researchers closely scrutinized vitamin delivery from chewing gum. "I was slightly surprised that no one had done a study like this before given the number of supplement-containing gum products on the market," said Joshua Lambert, a professor at Pennsylvania State University in the US. "But there is no requirement that nutritional gums be tested for efficacy since they fall into the category of dietary supplements," said Lambert. To find out if supplemented gum contributes vitamins to chewers' bodies, researchers had 15 people chew two off-the-shelf supplemented gums and measured the levels of eight vitamins released into their saliva. In a separate experiment on the same subjects, the researchers measured the levels of seven vitamins in their plasma. The researchers used an identical gum product without vitamin supplements as a placebo in the study. They found that retinol (A1), thiamine (B1), riboflavin (B2), niacinamide (B3), pyridoxine (B6), folic acid, cyanocobalamin (B12), ascorbic acid (C), and alpha-tocopherol (E) were released into the saliva of study participants who chewed the supplemented gums. For the most part, the research demonstrated that water-soluble vitamins such as vitamins B6 and C were increased in the plasma of participants who chewed supplemented gum compared to participants who chewed the placebo gum. In supplemented gum chewers, researchers also saw increases in the plasma of several fat-soluble vitamins such as the vitamin-A derivative retinol and the vitamin-E derivative alpha-tocopherol. That was the most significant finding of the study, Lambert pointed out. At least for the products tested, the water-soluble vitamins were almost completely extracted from the gum during the process of chewing. The fat-soluble vitamins were not completely released from the gum. "Improving the release of fat-soluble vitamins from the gum base is an area for future development for the manufacturer," Lambert said.